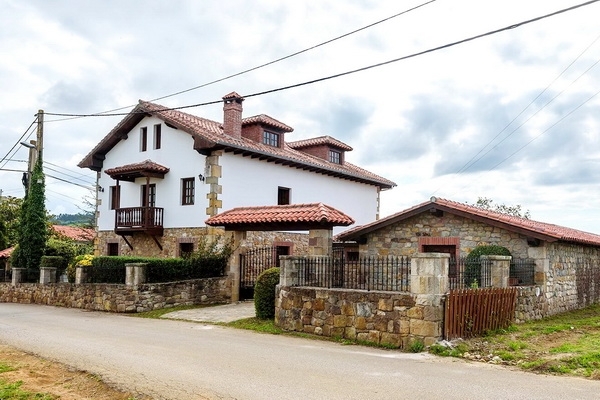 A very spacious house with sea views and a large 1500m2 enclosed garden, in a lovely setting only a short walk from the coast and a few minutes’ drive from Santillana del Mar, one of the prettiest towns in Spain. On three floors with a total of four bedrooms, three bathrooms, a fully equipped kitchen and a large living and dining room as well large sitting room on the top floor with open beams and lots of natural light, there truly is room for everyone here. Furnishings are traditional and rustic in style and of a high standard including two quality leather sofas in the downstairs living room. 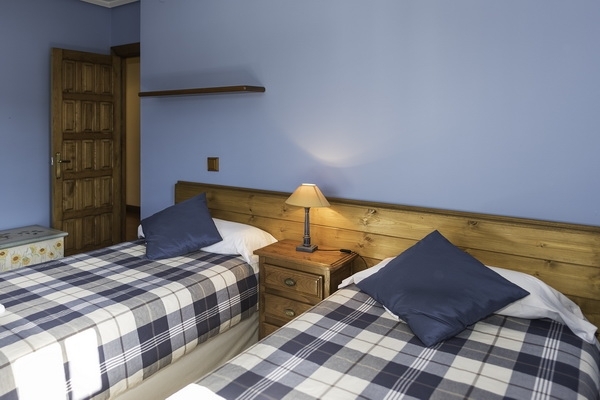 One of the bedrooms has an ensuite bathroom while another has access to a sunny south-facing balcony. In its own grounds, with no immediate neighbours, Casa Eusebio enjoys a high degree of privacy and offers lovely views from every window. There’s a splendid outdoor area for dining, sunbathing and enjoying the view towards the sea and the surrounding countryside. 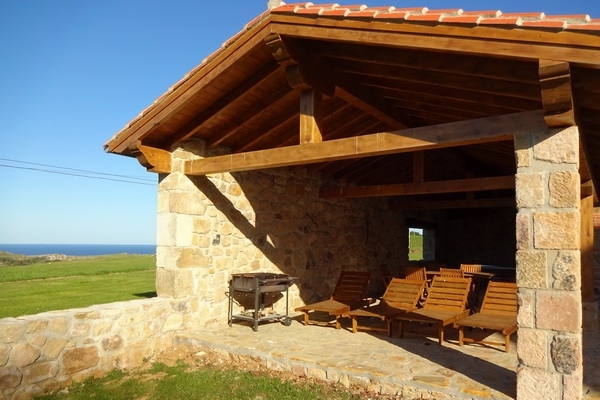 The old stable has been turned into a lovely barbeque area with wooden garden furniture and sun loungers. There is also a covered parking area to one side for two cars. 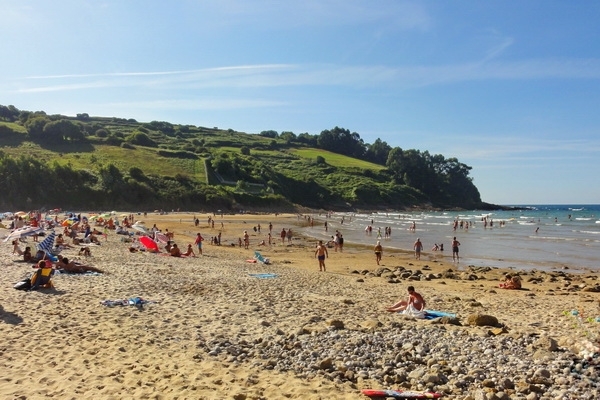 With Santillana to one side, Comillas to the other and the golden sands of Cóbreces beach just a short drive away you couldn’t be in a better spot. The village itself has a few bars and restaurants and stunning cliff-top walks - all in all, a perfect spot for a great family holiday. 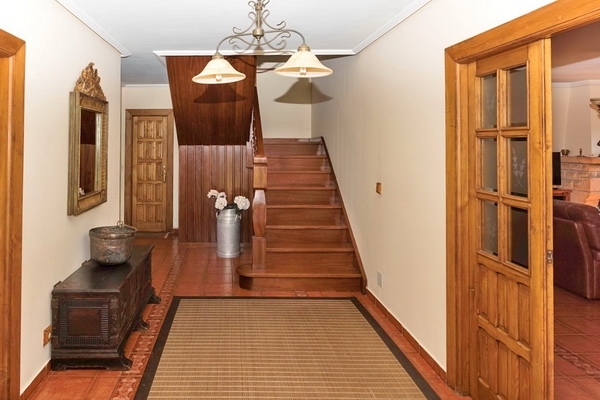 The front door opens into the entrance hall with the kitchen and a bathroom on the left side and the dining and living room on the right side. 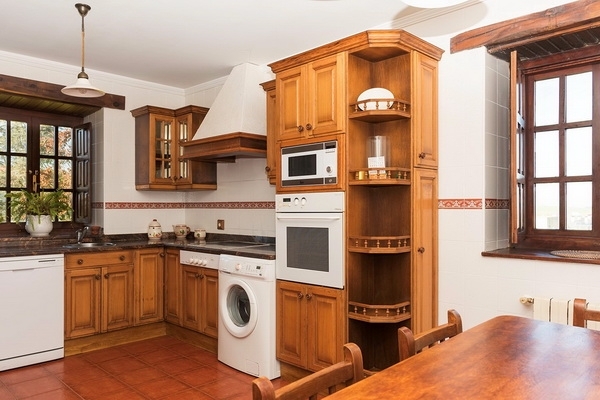 Kitchen fully equipped with all modern conveniences. Living room has two large leather sofas and a fireplace. 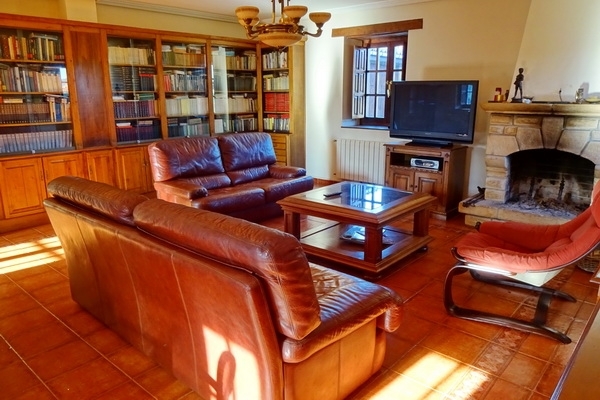 Plenty of windows with views of the garden and surrounding countryside. 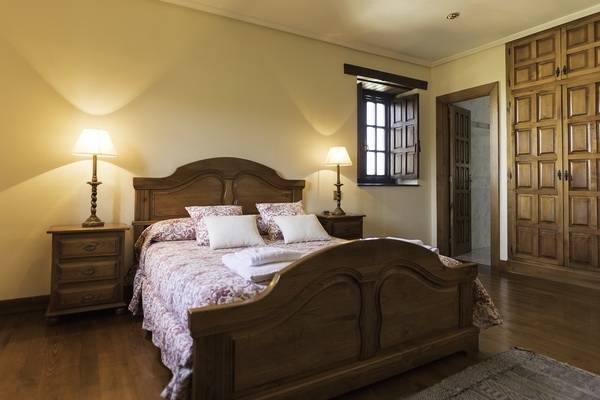 From the hall a wooden staircase leads up to the first floor where 4 bedrooms are found, one with a double bed and three with two single beds in each. 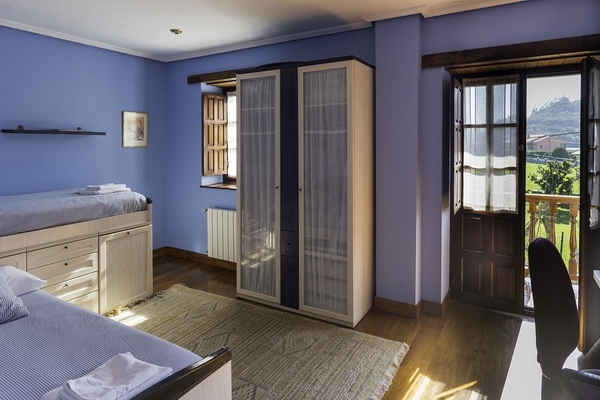 The master bedroom has an ensuite bathroom with a corner bathtub, another bedroom gives access to a south facing balcony. There is also another bathroom to be shared between the other bedrooms. 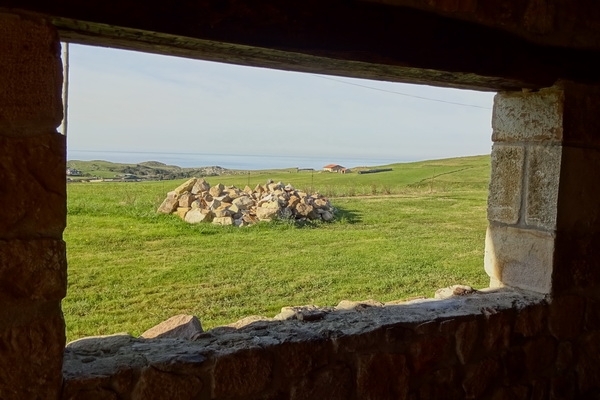 Large windows in all rooms with open views - even sea views. 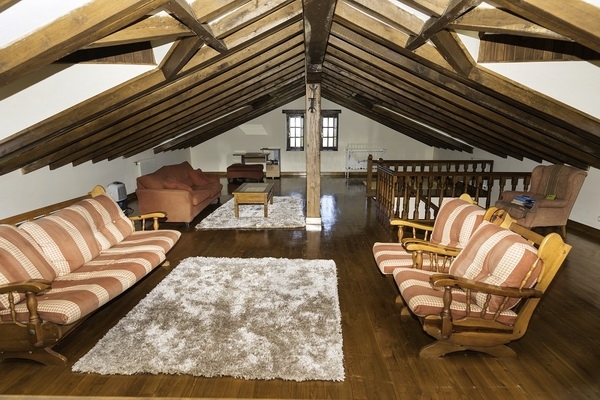 Up another flight of stairs, the top floor is one big open space in use as a sitting or chill out area with open beams and plenty of natural light coming in through the windows. 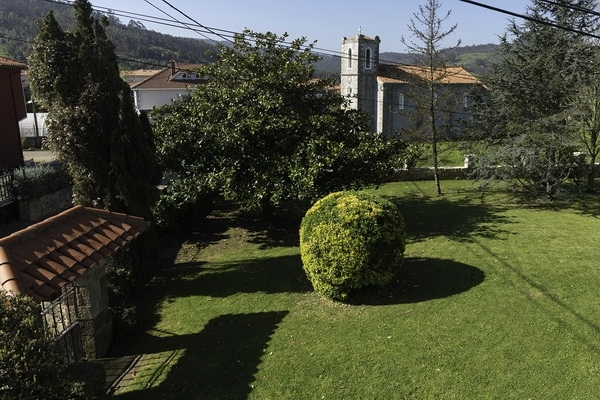 Outside there is a huge garden, mostly lawn, a covered parking area for 2 cars, and a covered barbecue area with wooden furniture and sun loungers. Set on its own grounds with no immediate neighbours, the house and garden offers privacy and lovely views. 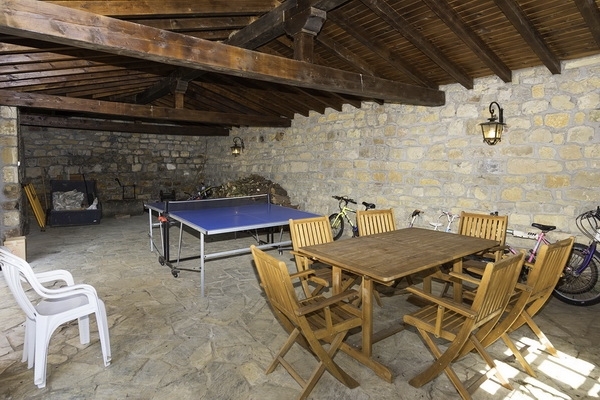 Bikes and table tennis table are also provided. Located in a hilly coastal area, this long winding village is now mainly a low density residential area, though still with a few smaller farms with cows and horses stabled next to their owners. There are also a few restaurants and a bar and bread and fish vans rush and hoot energetically through the village. Lovely walks through the little fields and meadows take you to the dramatic cliffs and to an imposing old church (originating from Roman times). 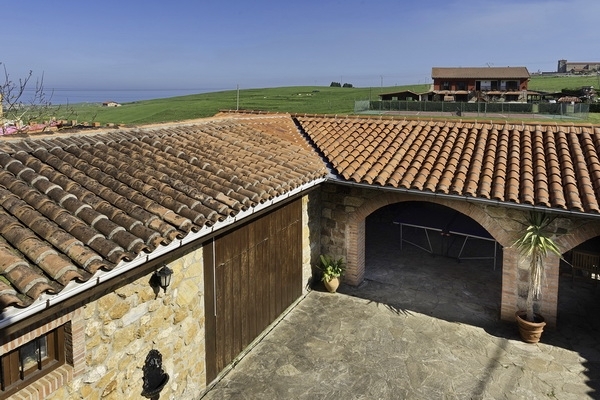 From here, on a clear day, you get splendid views of the Picos de Europa. A bypass cuts through the beautiful valley leaving the old village road relatively peaceful. 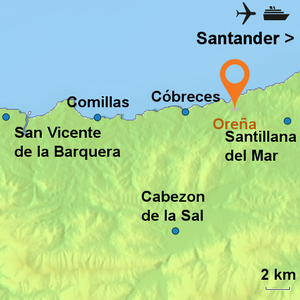 The nearest beach is at Cóbreces, 10 kms away, the pretty village of Novales, famous for its lemons on the way, and the historical village of Santillana del Mar just 3 kms. 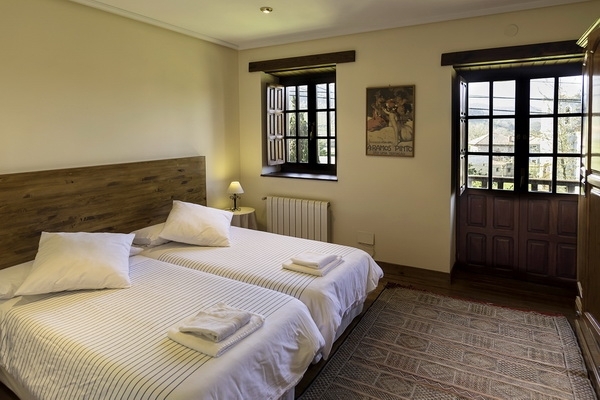 Visit nearby, historic Santillana del Mar, the replica of the Altamira Caves and the Zoo. 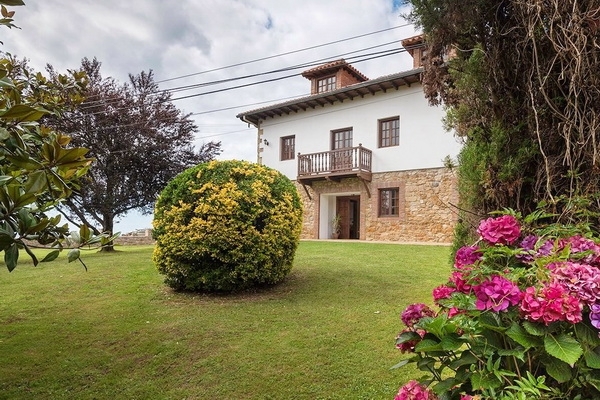 Visit the lovely town and resort of Comillas with its Gaudi buildings. 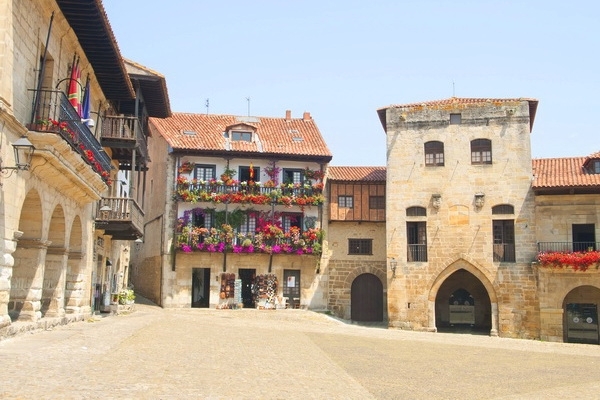 Take a trip to the attractive port and town of San Vicente de la Barquera. Walking - clifftop, beach or hills. Visit the cave of El Soplao and the caves at Puente Viesgo. 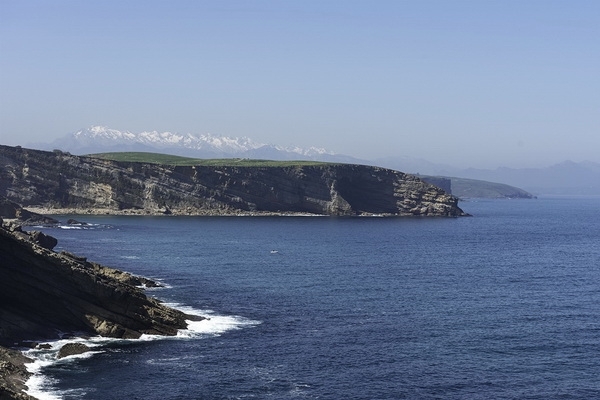 Visit lively Santander or further afield Bilbao and the Guggenheim museum. 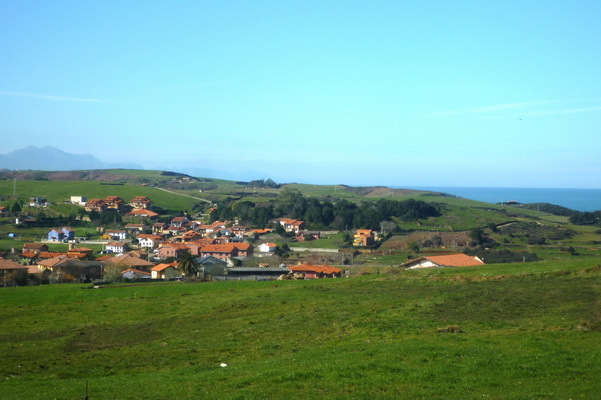 Explore the nearby "lemon" village of Novales. Have a family day out at the amazing wildlife park of Cabarceno. 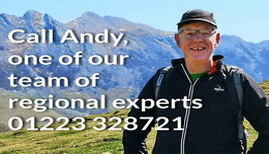 Make a day excursion to the fantastic Picos de Europa. Feast on fish and seafood at the many family run restaurants in the area.